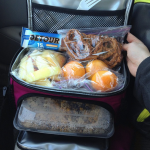 If you know a little bit about me, then you know that I work as a health coach/trainer at a local gym. Fitness is such a passion of mine and I thoroughly enjoy working out quite frequently. 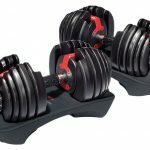 People think that working at a gym makes it super easy to workout all the time, and it does to a point. However I’m human just like you. By the end of the work day I just want to go home. And the thought of staying at work for an extra hour just to workout is painful. The thought of going into work an hour earlier than I need to just to workout is just as terrible. Even though I wouldn’t be “working”, I’m sure at least one person would end up asking me a work related question. And while I’m all about helping people, sometimes I just need some “me time”, you know what I mean? 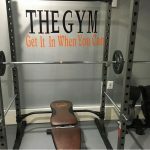 So this is where my journey to build an at-home gym started! Over the years I have slowly starting collecting items to add to my gym. 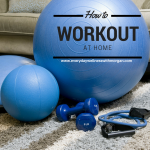 I currently have dumbbells, barbells, weight plates, a bench, a squat rack, and resistance bands (see my post about how to have an awesome workout at home HERE). 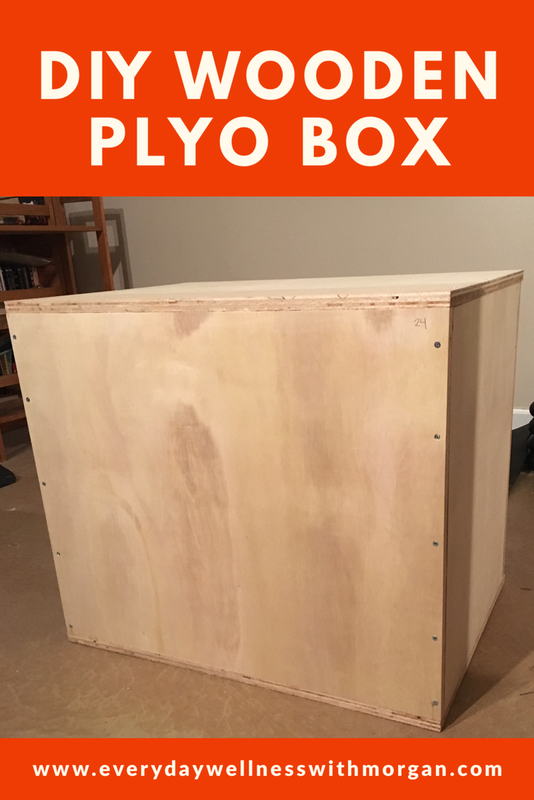 However the other day I realized that I was missing something pretty crucial…a plyo box. I looked them up online and to get a decent size box it would run you around $80. That was just too pricey for me, especially for just a wooden box. And then it hit me. Why not just build one? I went to Home Depot and looked around at their plywood selection. You definitely want something that is at least ¾” thick so that it’s sturdy enough to withstand you jumping on it. I also chose one that was pretty smooth to avoid splinters and split wood. 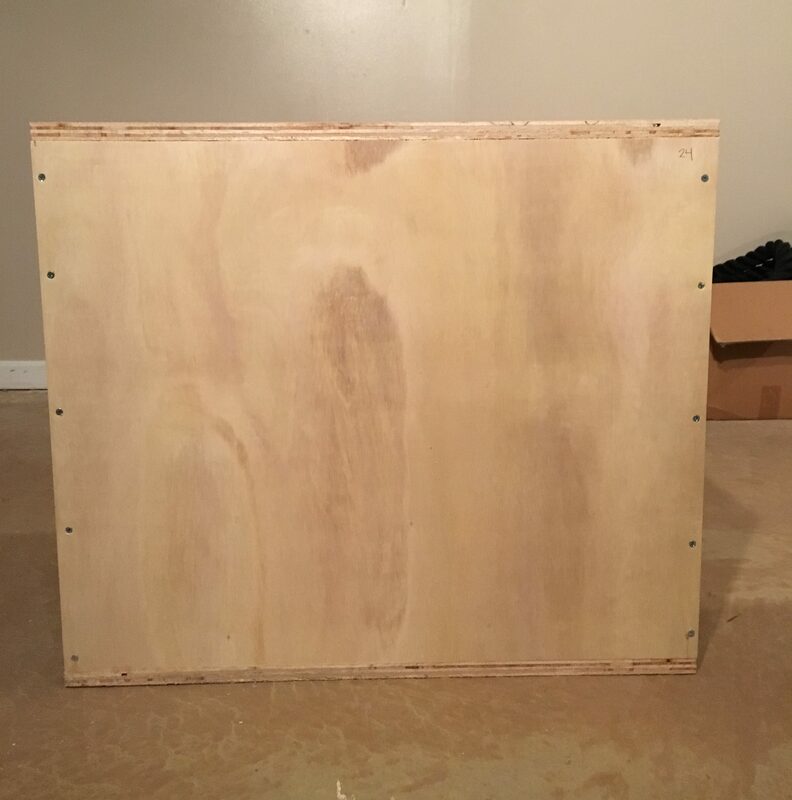 Once you select your 8’x4” piece of plywood, have them cut it for you. I repeat: have someone at the store cut the wood for you. It will save you so much time. My store didn’t even charge me for the cuts. You will have a bit of wood leftover, so don’t panic and think you cut wrong! I found it much easier to label each piece once I got them home. This way as I am building I know exactly what piece I need to grab. Then line up your pieces to make sure they line up evenly and you know which piece goes where. 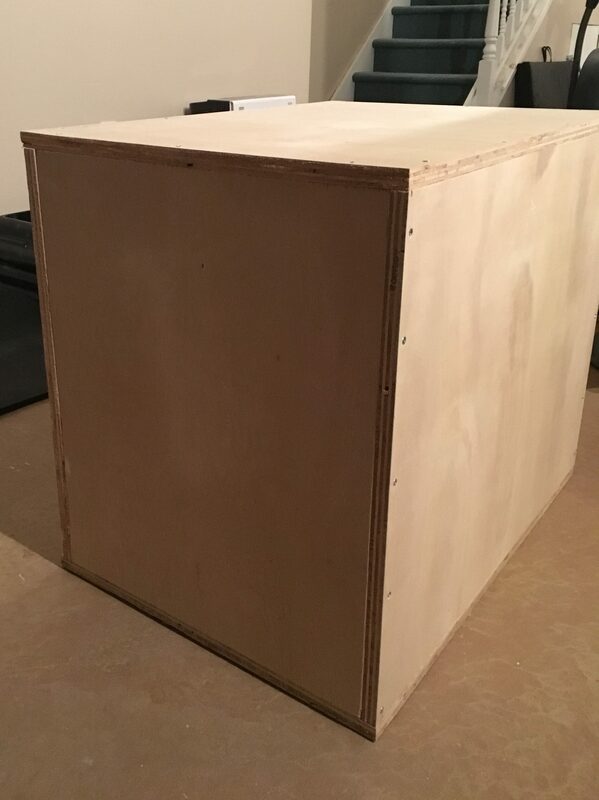 Step 3: Build the box! Now it’s time to officially put everything together. When lining up the box, make sure that the two smallest rectangles (22.5” x 18.5”) are encased by the other two rectangles (see picture below). Start by drilling pilot holes to help make screwing it together a whole lot easier. I also recommend you put Gorilla glue anywhere on the box that the wood touches. I really wanted to reinforce the box since I knew I would be jumping on it. And that’s it! Pretty simple right? At the end I sanded down any edges that weren’t smooth. I also labeled the box so I knew the height of each side (20, 24, and 28). Feel free to stain/paint it to make it more aesthetic, or keep it plain like I did.